CapraCare is an organization that is thriving with individuals that say yes to change, to commitment, and to making a difference. Read more about CapraCare in our “Conversations” page & share it. Looking for news about Haiti? Whether it is for serious news or leisure reading, please do take advantage of the informational resources Haiti1Stop™ has to offer. Click on our “News” section filled with news from newspapers, bloggers, and entertainment sites. Traveling to Haiti for the Holidays? Whether it is for business or pleasure, please do take advantage of the informational resources Haiti1Stop™ has to offer. Among our resources, click on our “Travel” section filled with all of your traveling needs. Haiti1Stop.com™ is a free online information platform that offers numerous resources to serve the communities of Haiti. This premier portal is a dynamic one-stop website for individuals and organizations working towards rebuilding Haiti and engaging its people towards self sufficiency. 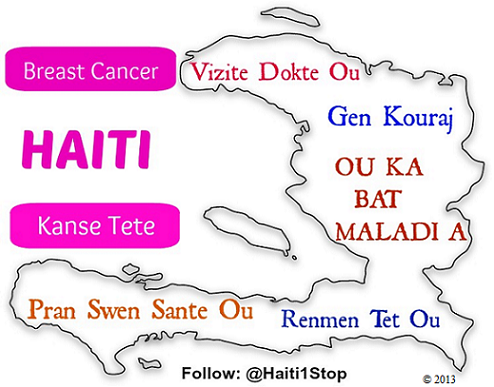 Do you need help navigating Haiti1Stop.com™? If so, please check out our “How It Works” section under “FAQ“. Know of a good resource? Do you have a good resource that you would like to see on Haiti1Stop.com™? Let us know about it by going to our “Contact Us” page.